Can Boston get plane-sharing off the ground? Wheels Up says it has signed up about 150 members. The Boston area has been a pioneer of what’s being called the “sharing economy.” Zipcar brought the concept of hourly car-sharing to the United States, and Hubway was among the first urban bike-sharing programs in the country when it launched in 2011. There’s even yacht-sharing: a southern New Hampshire company called Barton & Gray Mariners Club will put you in a 36-foot Flying Swan on a fine summer day. Now, a few local companies are trying to promote the idea of plane-sharing. What if, instead of boarding that cramped turboprop to Rochester or packing into an Airbus to Orlando, you could stretch out in a comfy private cabin and fly into uncrowded airports that rarely experience delays? It’s a tantalizing notion this time of year. But as companies talk about building an “Uber for jet travel” and “Airbnb of private planes,” referring to services that make it easy to summon chauffeured cars or rent other people’s apartments, the challenge of making private flying accessible to non-millionaires is proving every bit as stubborn as the guy who insists his steamer trunk will fit into the overhead compartment. One high-profile startup, Florida-based BlackJet, laid off most of its employees this fall and exited the business. And it had Uber’s chairman and cofounder on its team. It’s easy to understand what attracts entrepreneurs to the notion of jet-sharing. Private aircraft sit around unused a lot of the time. Pilots cool their heels in lounges, waiting for their next assignment. And airports in places like Portsmouth, N.H., and Beverly are underused. 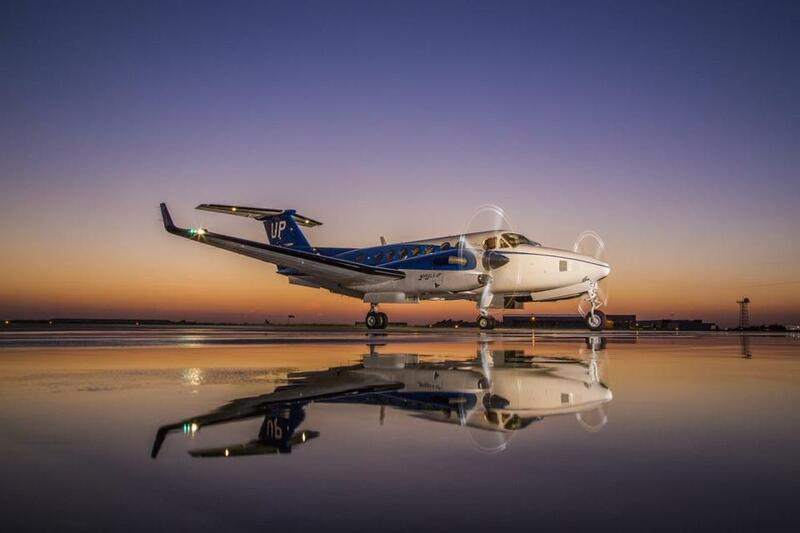 But, says Joshua Hebert of Magellan Jets, “We could talk about 10 companies that have tried to do jet-sharing in some way, and they’re all out of business. If you have the wealth to fly privately, the likelihood of you wanting another person on your plane is really low.” And when planes are repositioning — flying to their next assignment — it’s often at a time or on a route that no one wants to pay for. But companies like Quincy-based Magellan are testing models to try to surmount these challenges. Magellan’s main business is selling a kind of prepaid debit card for jets, which offer a certain number of flying hours. Ten hours of travel time on a four-passenger jet like the Embraer Phenom 100, for instance, is $35,000. Wheels Up, a New York company, recently started promoting a program targeted at what chief executive Kenny Dichter calls the “working wealthy.” After paying a $15,000 initiation fee, members can book time on a King Air twin turboprop plane at about $4,000 an hour. A one-day round trip from Hanscom Field in Bedford to Teterboro Airport near New York would cost about $8,000. But the plane seats eight, and Dichter talks about allowing a member to defray the cost by inviting other members to “hitch a ride” through a mobile app. “You could also propose a trip to a college bowl game, for example, and see who else wanted to join you to help share the cost,” Dichter says. Wheels Up, a private aviation service, is looking at allowing members to share rides to defray costs. The company is raising $58 million in funding, Dichter says, and it has already signed up about 150 members. Wheels Up cofounder Bill Allard works out of a small office in Norwell, along with head of sales Alison Green and a handful of other employees. A Northeastern University student, Matt Voska, is pitching a business idea called Flytenow. His idea is to enable private pilots who rent or own small aircraft to share the cost of flying with others who might want to go along for a ride. Voska, a 19-year-old who has his private pilot’s license, says the start-up has flown a handful of “beta” flights this year. JumpSeat, a website that launched earlier this year, aims to become a marketplace for buying and selling empty seats on private aircraft. 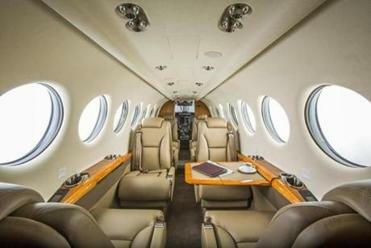 Becoming a “certified” buyer or seller of seats costs $1,500, but JumpSeat offers access to reasonably priced seats on private planes, such as $2,000 for a New York to southern California one-way, or a $1,500 Boston to West Palm Beach flight, said founder Justin Sullivan. (Chartering the whole plane for those trips would run $14,000 and up.) JumpSeat is part of Private Flite Worldwide, a charter company in Hingham. BlackJet, the Florida startup that hoped to serve people traveling to and from cities like Boston, Los Angeles, San Francisco, and New York, charged an annual membership fee of $2,500, and hoped to sell individual seats for a few thousand dollars. Its investors included rapper Jay-Z and actor Will Smith. But the planes tended to fly mostly empty, and BlackJet plunged into the red. The company laid off most of its staff in September, and ceased operating its seats-a-la-carte service. Chief executive Dean Rotchin says BlackJet continues to run a more traditional charter business, and hopes to raise more money for the per-seat business: “We will acquire sufficient members and restart the service,” he says via e-mail. Not many people think of Boston as a big aviation town — we don’t make planes here, and we’re definitely not an airline hub. But we already boast one successful plane-sharing business. Sentient Jet, which sells time on jets owned by others, was founded in 1999 and today employs about 120 in Braintree. But its entry-level product is a $125,000 card that covers 25 hours of flight time. Will some Boston company eventually crack the code to making private flying affordable? I’m hoping so, because you people toting Christmas gifts for your extended families take way too long getting on and off that 757.